One of my much awaited cover reveal of the year is on! The fantastic over of Library of Souls by Ransom Riggs is happening right now. It still follows the usual mix: vintage photo with an eerie subject in the middle of it all. This is already the third novel in Miss Peregrine's Peculiar Children series and I hope it isn't the last. You ask me why? Because it's just so good, having a great story complemented by eerie and sometimes scary vintage photos inside. The way Ransom Riggs weaves these photos into the story makes it even more surreal and appealing. This is not a picture book intended for childrena nd the weak at heart. You are fore-warned. 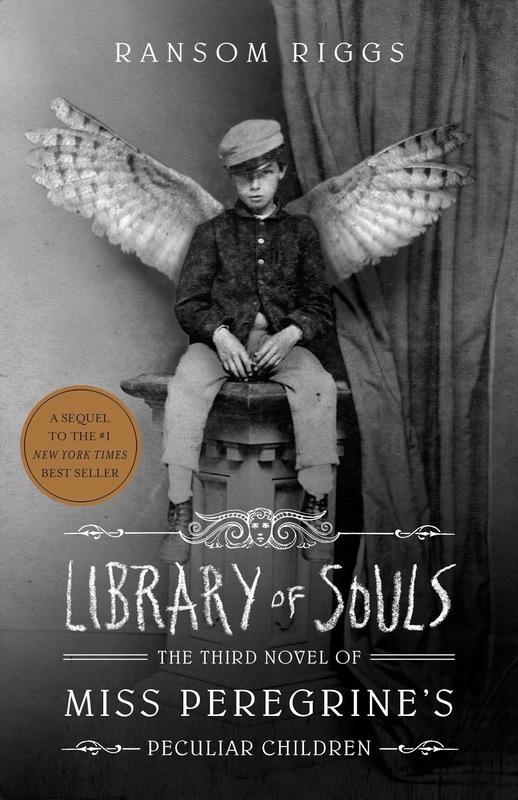 Check out the cover of Library of Souls by Ransom Riggs. Time is running out for the Peculiar Children. With a dangerous madman on the loose and their beloved Miss Peregrine still in danger, Jacob Portman and Emma Bloom are forced to stage the most daring of rescue missions. They’ll travel through a war-torn landscape, meet new allies, and face greater dangers than ever. . . . Will Jacob come into his own as the hero his fellow Peculiars know him to be? This action-packed adventure features more than 50 all-new Peculiar photographs. Library of Souls (The Third Novel of Miss Peregrine's Peculiar Children) by Ransom Riggs will be released on September 22, 2015.